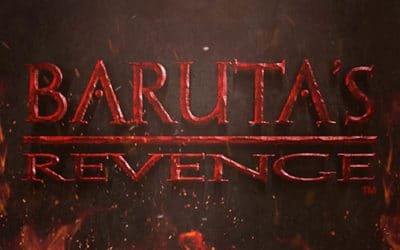 Baruta’s Revenge is now open! You thought Baruta and the Church of Light and Dark were ancient history? They’re back! The sequel to Final Sacrifice is now open at our North location. Times to play are currently limited but more opportunities will be offered soon. If you want to play it on Thursday, December 19, 2018, use code First2play when you book. Click here for room details. Creating new rooms and experiences for our customers has always and will continue to be our passion. That’s why we are thrilled to announce that we will be opening 2 new rooms in the next few months! You read that right: 2 new rooms! One at each location. You might be wondering which current rooms we will be closing. The answer is simple: none! We will have 7 rooms at our South location and 5 at Exit North. Stay tuned for details! New addition to the South family! 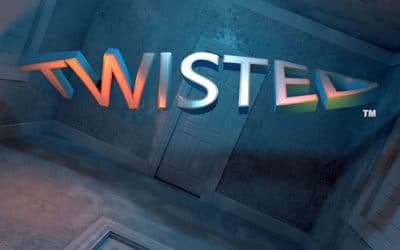 After 3 months of hard work, we are ready to open our brand new room: Twisted! Whenever we open a new room, we always say that it’s different from any other room that we offer. The same can be said about Twisted! It offers a great combination of all the skills required in an escape room: hands on, visual, logical, communication and teamwork. There’s something for everyone. Even for us because you see, there’s a twist! Check out the details right here! 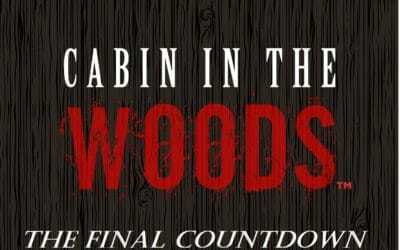 … the final 60 minutes for Cabin in the Woods will happen soon! Cabin in the Woods opened in October 2014 and has claimed many victims over the years. Many egos were crushed in that room and many escape room addicts were initiated to the concept in those walls. Although it is sad to see it go, we are excited to bring a new and more immersive experience (more details on that soon). There is no definitive date for Cabin’s shut down, but it will be in the next 2 or 3 weeks. If you have yet to play it, hurry up! If you need redemption, stay tuned. 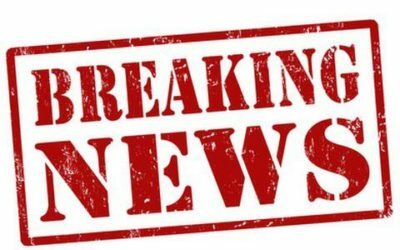 Do over times will be announced shortly. Reviews… They’ve made us proud, they’ve made us lose sleep. When we opened Exit South in 2014, reviews helped us get our name out there and eventually gave all escape rooms in the greater Charlotte area a fantastic marketing tool. But reviews come with some challenges. We’ve received praise and words that warmed our hearts and constructive feedback that made us grow. Unfortunately, we’ve also had customers threaten to “blast us” on social media. Bottom line is that reviews and social media play a great role in the growth of any business. But what happens when the system gets taken advantage of? Case in point: a fake restaurant in London that was ranked #1 on TripAdvisor. The only problem was that the restaurant didn’t exist… Not kidding! Read the full story here. In this episode, Rob talks about misconceptions people have about escape rooms. Get your Christmas shopping done! You can’t think of anything for that special person who is either very picky or who never needs anything? 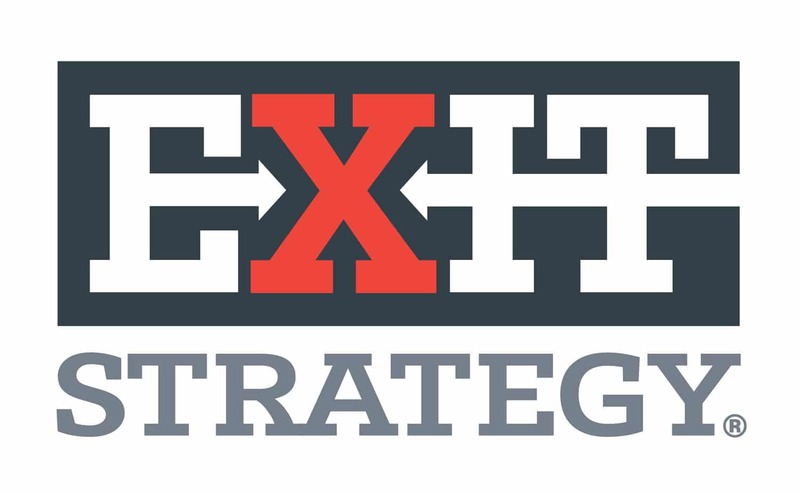 Offer them an immersive experience with Exit Strategy! And from now until January 1st 2018, you can take advantage of some cool discounts. 10% off when you purchase a $50 or $75 gift certificate ~ 20% off when you purchase a gift certificate of at least $100 in value. Not too shabby! Click here to purchase and enter code giftcert10 (10% off) or giftcert20 (20% off) at check out. 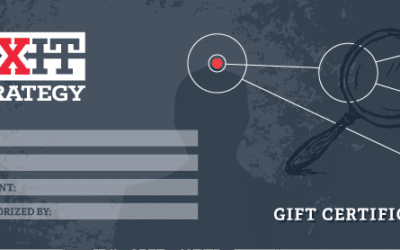 Our gift certificates are valid at both Exit Strategy locations in Charlotte NC. Escape Rooms might be a new trend in the US but they’ve been around for many years in other parts of the world. Find our more with Rob! 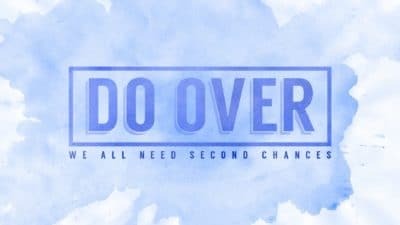 Do Over Sundays Are Back! These cannot be booked online. Give us a call to reserve your spots!